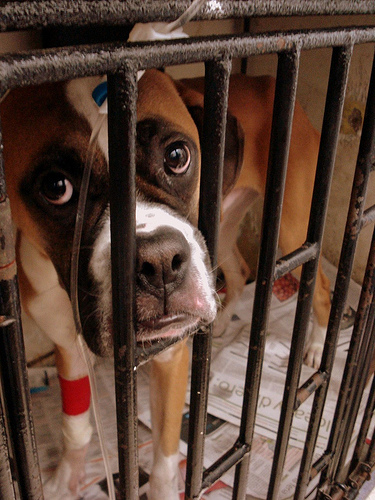 Parvovirus (CPV) is a highly contagious disease. There are a number of different strains and it is a common infection in the United States. It affects the intestinal tract of the dog. Parvovirus is spread through contact with feces of an infected animal and can survive on many items in the home including dog dishes, other dog equipment, clothing and hands of people handling infected dogs. It can be transmitted to the environment through the dog’s hair and feet or any other objects that are contaminated. Any objects that you may think are contaminated should be washed with detergent and then a solution of 1/2 cup of bleach to a gallon of water. Parvovirus is resistant to heat, cold, humidity and drying and can survive for long periods of time. Signs are loss of appetite, lethargy, abdominal pain, bloating, severe diarrhea that is sometimes bloody, vomiting. Death can occur within 48-72 hours following the initial appearance of symptoms. Once symptoms appear, the disease progresses quickly. If you suspect your dog has parvo, there is a simple test involving bringing a sample of your dog’s feces to the vet for diagnosis. An additional test can be done to determine how severe the infection is. 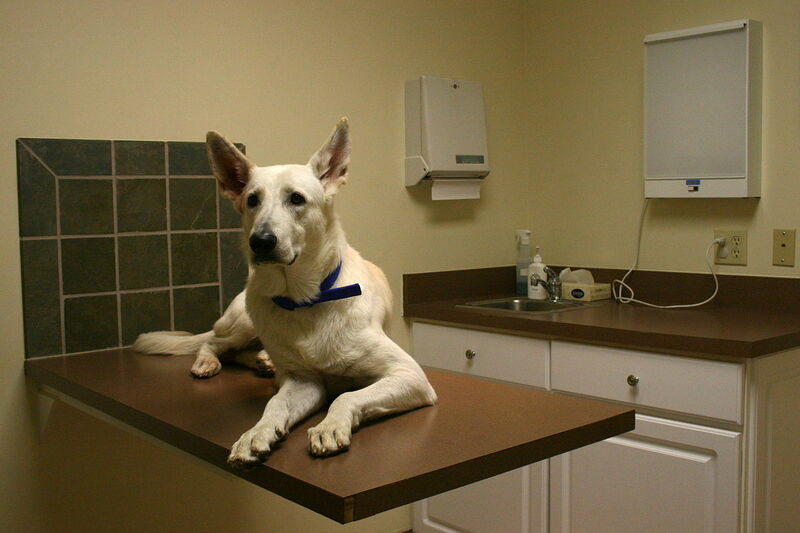 Treatment is for the symptoms and can include administering fluids and antibiotics. Depending on the severity, nutrients and fluids may be given intravenously. Early treatment can be successful but vaccination is the best prevention. You can help prevent parvo infection by vaccinating your dog. Vaccination is given in 2 doses at 8 weeks and then 12 weeks. The vaccines for parvo are safe and protect your dog against most strains of the disease. There is a new strain that is difficult to detect and vaccines may not be as effective against it. in since most owners wisely vaccinate their dogs.